That’s how the Wired 2011 conference’s programme’s opening gambit read for the first session at the event today. There was little question what this session was going to be about, and the first speaker up had an interesting story to tell. New York is one of the world’s biggest conurbations. And as with many metropolises, New York has had its fair share of crime to deal with in the past. But William ‘Bill’ Bratton’s zero-tolerance policy and attention to detail during his time as Police Commissioner at NYPD in the nineties, is credited with helping to significantly reduce petty crime. His style of policing is influenced by what’s known as the “broken windows theory”, which stipulates that if minor crimes aren’t managed, crime overall increases. Following the riots in London and across the UK back in August, Prime Minister David Cameron contacted Bratton about becoming the Commissioner of London’s Metropolitan Police Service, but this was ultimately vetoed because he’s not a British citizen. He was then offered an advisory role on controlling the violence, which he accepted. So what does all this have to do with data and technology? Well, Bratton was on-hand to discuss the subject of data-driven policing. He’s a bit of a super cop, really. “I was asked by the PM to come over and take a look at the gang problem that’s spread from the US into the UK”, says Bratton. “Over the past week I’ve been to Manchester, Birmingham and London and briefed on the gang problem. So we’re comparing that to the situation we have in Los Angeles, which is the major problem area for us. What you’re seeing in the UK is a manifestation – or a duplication – of that particular problem”. So…what can be done about it? “A lot actually”, says Bratton. “It’s a first generation problem here, but it is now in its fourth or fifth generation in LA, and it’s being addressed very enthusiastically in the UK. Not just by the police, but by many other groups that have to work on this situation. If it’s not dealt with at the micro level, it can grow exponentially as it has done in the US”. Bratton also said that the UK will be issuing a report in the next few weeks with their review of the problems, and some of the efforts they’re going to make moving forward. With reference to the recent London riots, how can a repeat of the carnage be prevented? “Firstly, the good news is they happened now, and not next year during the Olympics, when the British Police would’ve been stretched very thin”, says Bratton. “Quite clearly, the social networked world that we now live in played a big role in events, this is something that will be very closely reviewed as to that new element to riot situations. 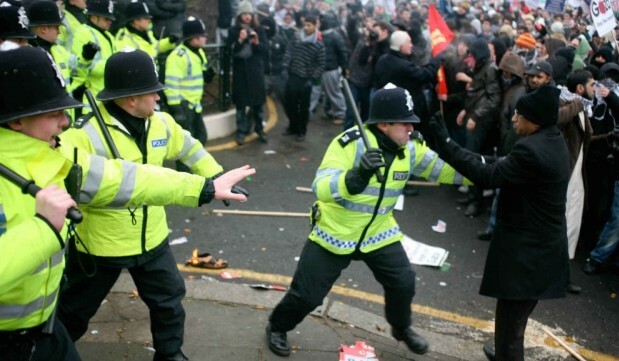 It’s policing a whole new world, dealing with flash mob riots”. When Bratton was Commissioner of NYPD, he set up a system called CompStat, part of which constitutes ‘timely intelligence’. “You have to gather your intelligence as quickly as you can”, says Bratton. “Back then, it meant having 75 precincts faxing a collation of crime information each day. The acquisition of a Radio Shack computer was the state of our technology in 1994, which helped us collate the information more quickly. We wanted to put cops on the dots – the emerging patterns and trends, which back then may have taken days or weeks to establish. But today’s it’s a lot more instant”. With police resources allocated to the trouble areas, Bratton also saw the importance of following up to ensure it didn’t reemerge. “Think of it as a cancer on your skin”, says Bratton. 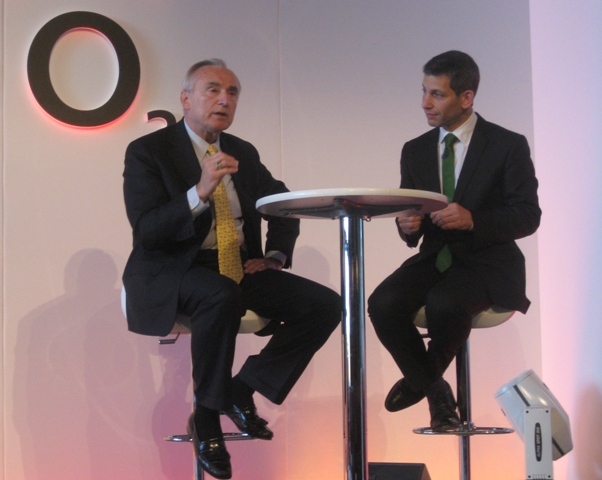 “In policing, we didn’t use crime information to direct our police resources”, says Bratton. “And that’s what we started to do in 1994. Crime in New York is down again this year, that’s 20 straight years. I took the system – because it is transferable – to Los Angeles. It’s a different city, a different patient, but like the internal combustion engine of a car, it works in different models. After 9/11, we moved into the information intelligence age, as there was a need to gather huge amounts of information and make intelligence out of that. It’s about making actionable intelligence”. So, it’s all about predicting when something is going to happen and pooling the police resources to prevent it from happening. “One example of this is gangs. In Los Angeles, gangs celebrate their birthdays, and they all gather together to party”, says Bratton. “Even when they’re just among themselves, there’s a good chance of violence against each other. Or it could be a good opportunity for a rival gang to do a good old-fashioned drive-by”. So by knowing the birthdays of gangs, they can help prevent violence from happening. Translated into a technology environment, and juxtaposed against the recent London riots, the idea of monitoring social networks to see what activity is increasing and where can be a very effective policing tool to monitor activity between the gangs. Effectively, you can monitor the flow of people based on the traffic trends on the networks they’re using. But what about civil liberties? “It’s all about open source information”, says Bratton. “The networks that a lot of this information is flowing through is open source, which is how authorities can watch and monitor. We can’t access closed source information”. “If you don’t weed a garden, the garden will die”, says Bratton. “In a city, if you don’t pay attention to the situations in the street that people see everyday – garbage not being collected, graffiti, prostitution, abandoned cars…that’s a sign of urban decay, it’s a sign that nobody’s in charge and it empowers people to think they can commit crime”. “The cause of crime is people”, continued Bratton. “There are things that influence it, such as a poor economy. But what we’re seeing in the poor economy in my country isn’t a significant rise in crime, because police are controlling behaviour to such an extent that we’ve changed it. And that’s the good news. As much as the wired world is changing, the world that I came from is changing for the better – also because we’re using technology and cyberspace”.